One of the leading Telecom Operator in India, Vodafone has launched its latest initiative 'What will you be?' towards empowering jobs and digital skills for the youth in the country. and jobs initiative that aims to help five million youth in India and 10 million young people across 18 countries find employment by 2022. This initiative called "What will you be?" will be international and guide youth with their career and provide training content in the digital economy. 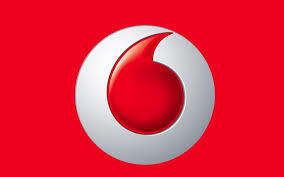 Vodafone's What will you be? initiative will access relevant online digital skills training on this platform, where several courses are available free of cost. Vodafone India's Managing Director and Chief Executive Officer, Sunil Sood has said " India has one of the youngest populations in the world. The vision of Digital India, to which we are all committed, requires an abundance of digital skills and new learnings. Over time, every workplace will go digital, creating new roles and accelerating the demand for a wide range of specialist technology skills relevant for a digital economy.With this programme we want to prepare five million young people across India to be future fit for work places of the new world"